The term Milibus – Capital used for the personal benefit of the military fraternity is not a new revelation. These funds which are neither recorded nor are they part of the defence budget and are controlled by retired or serving military officers, evade regular accountability procedures for “the gratification of military personnel and their cronies”. The “Culture of Entitlement” in the Pakistan military started during General Ayub’s time when he commenced the tradition of awarding land to army officers (the size of allotment depending upon the rank of the officer) in the border regions of Punjab and in the newly irrigated colonies of Sindh. General Zia also created a novel way of involving serving officers in commercial ventures by placing military lands and cantonments and the provisioning of logistics to the regional corps commanders. Thus, many senior army officers availed opportunities to acquire multiple plots in various cantonments for themselves at highly subsidized rates. These prime properties soon sparked nepotism in allotment and corruption among both the military and civil bureaucracies. Fauji Foundation, Shaheen Foundation, Bahria Foundation are examples of so-called self-sustaining welfare projects which are most certainly golden egg laying gooses for Pakistan Army. For years, these money minting projects have loaded the uninformed and corroded the taxpayers. A normal scenario in Pakistan. With interests in fertilizer, cement, food, power generation, gas exploration, LPG marketing and distribution, financial services, employment services, and security services these financial services are now amongst the largest energy conglomerates in Pakistan. 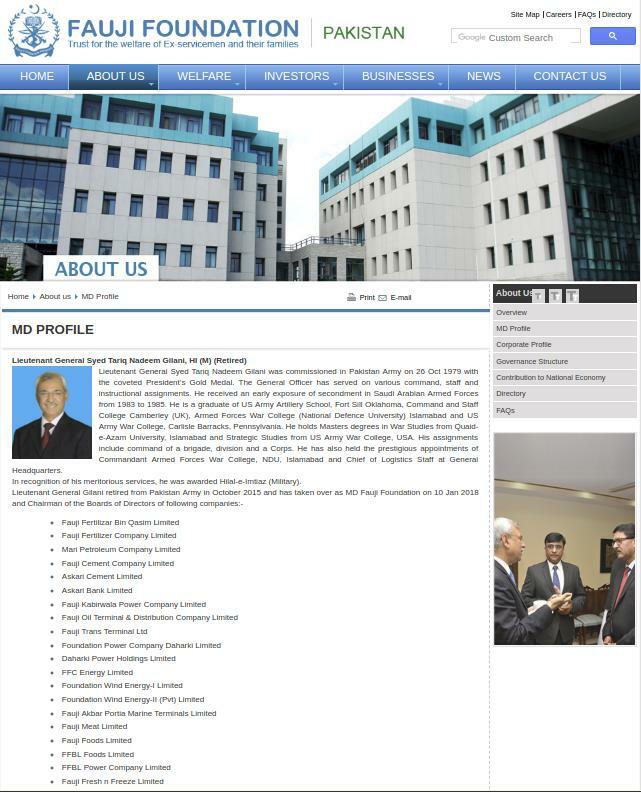 No surprises for guessing how army owned welfare projects are listed and traded on the Pakistan Stock Exchange. 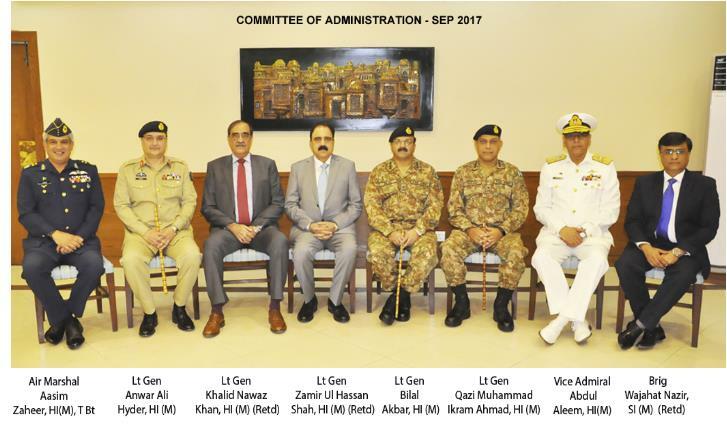 Pakistani Army Officers sure possess the required business acumen and the “General lobby” – beneficiaries take care of the rest. Certain reports exposing Pakistan Army’s billion-dollar project have surfaced recurringly in the media, however, no action on any inquiry ever comes to public light. A 2017 study found that 33 of a group of 141 former Pakistan Armed Forces corps commanders, or 23.4%, were given jobs by the Foundation after their retirement from the military. 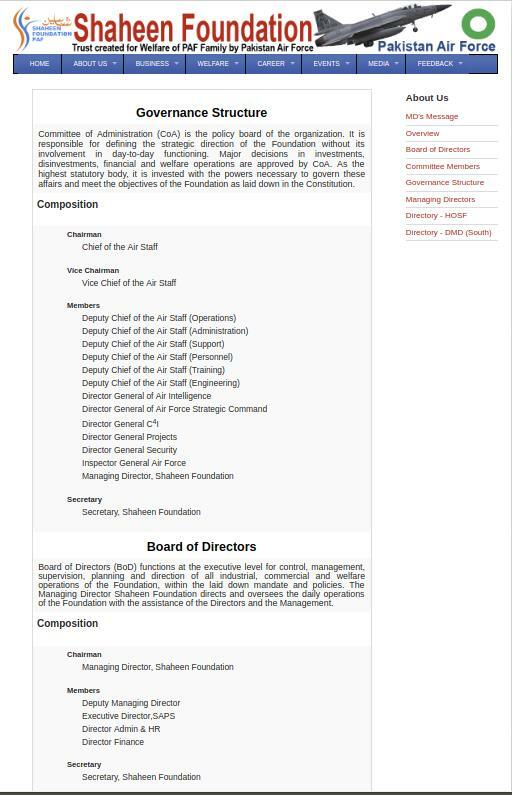 At any one time, as many as seven former corps commanders serve as either the managing directors of the Fauji Foundation or the Army Welfare Trust or as managing directors of subsidiaries with personnel in these positions rotated out every three years. There are nearly fifty “projects, units and housing colonies” functioning in the country under the administrative control of Fauji Foundation, Shaheen Foun­dation, Bahria Foundation, Army Welfare Trust (AWT) and Defence Housing Authorities (DHAs). 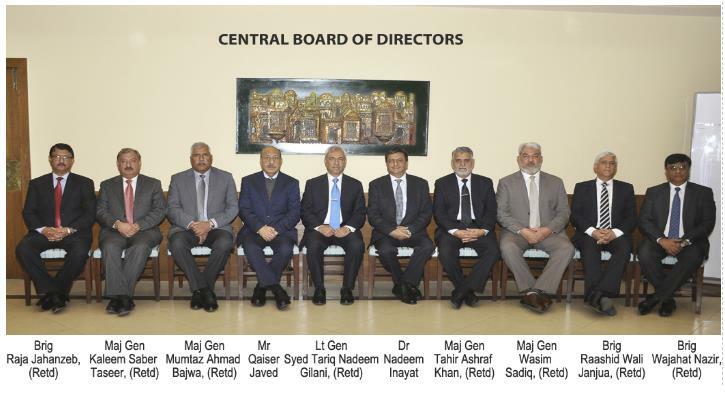 As is seen, the management structure composed of the Committee of Administration and Central Board of Directors only has PAF officers on board. These foundations, are controlled by their respective service headquarters and are run by retired military personnel. The profits accruing from the commercial ventures of these organizations are distributed to all shareholders who are also retired military personnel. The MOD does not directly manage the economic activities of the organizations but plays a vital role in securing public sector business contracts and financial and industrial inputs at highly subsidized rates. In recent years, profit-making by retired military personnel has acquired even newer dimensions with them providing privatized security services to foreign contractors in security-sensitive regions like the FATA and KPK (Federally Administered Tribal Areas and Khyber Pakhtunkhwa). This follows the pattern as established by foreign security contractors in adjoining Afghanistan. The military’s involvement in politics results in Milbus, which in turn generates military interest to remain in power or to control the government. The military’s predatory style makes its capital concealed, not recorded as part of the budget, and entails the unexplained and questionable transfer of resources from the public to the private sector, especially to individuals or groups of people connected with the armed forces. Financial autonomy gives the military a sense of superiority over the civilians. Milbus activities are purposely not revealed to the public on “national security” grounds. They are used as a tool to ward off retired senior officers of Pak Armed Forces from intervening in the activities of serving officers and from entering electoral politics. However, in the bargain, the only sect being robbed of its state resources are the common Pakistanis, the privileged look upon them as incompetent and powerless. 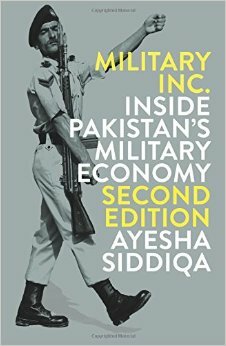 It is unlikely that Pak Army will relinquish the primacy and unfettered powers it enjoys in its nation. A Naya Pakistan is merely another political gimmick because the polity knows that they come and go but the establishment – Pak Army stays unquestioned!